I like to try things that are unique. As someone who is a wine enthusiast, but certainly not a wine buff, there are a lot of things out there that taste almost the same. I may be able to tell you if a wine is a merlot or cabernet sauvignon by taste, but I normally have a difficult time telling the difference between two cabs. When something really stands out as different I want to try it and then I want to tell other people to try it. 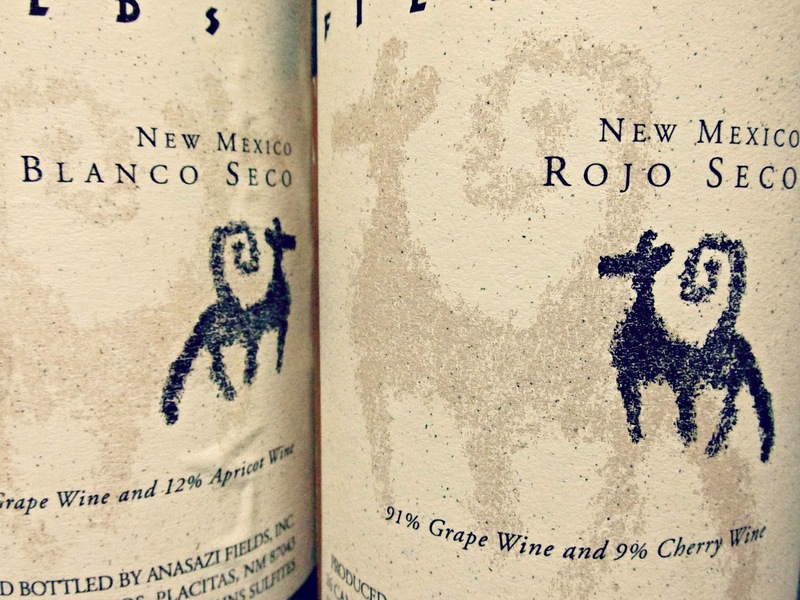 Today's libations are Anasazi Field's Blanco Seco & Rojo Seco. 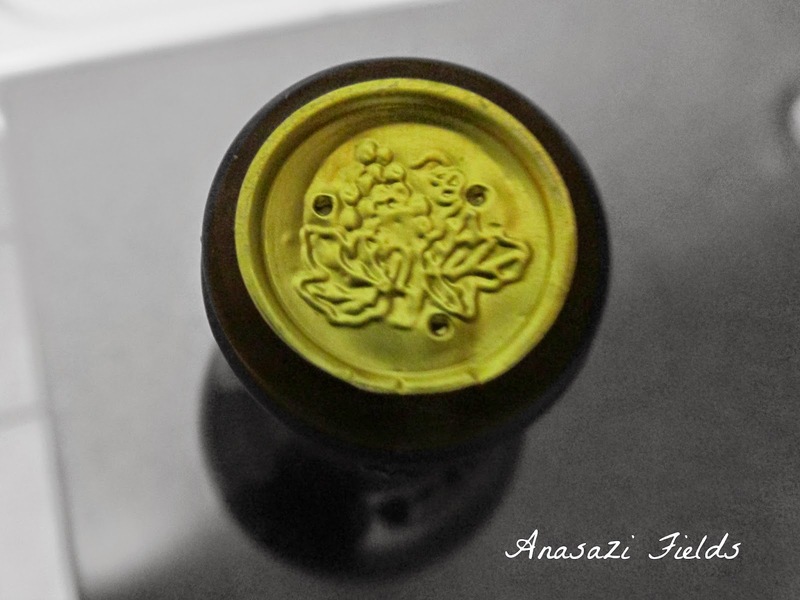 The first combines apricot wine with chardonnay and the second combines wild cherry wine with syrah. The results are two very unique wines. I expected to favor the rojo as I normally enjoy red wine over white, but I was surprised when the blanco was my definite favorite. Both of these wines have a very sharp flavor. If you are a cherry lover, this is the wine for you, as the cherries really take center stage. The rojo is a little overwhelming for me as the wild cherry is so strong and so sweet that I can't do much more than sip little bits of it. The blanco seco, on the other hand, is right up my alley. The apricot comes across clearly. Slightly chilled, this wine embodies the flavor of summer to me. Ideally this should be drunk barefoot, a little bit of juice running down your chin, as you walk through grassy fields and orchards in your favorite overalls. 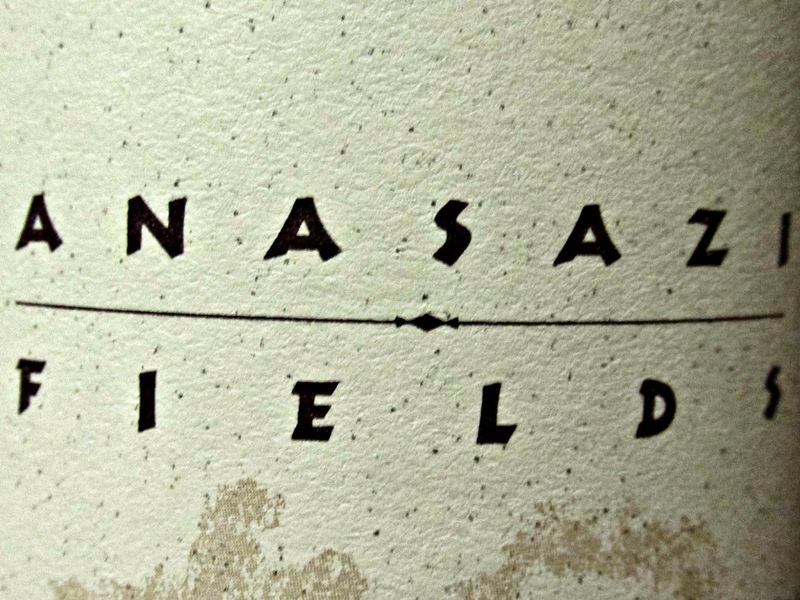 You can read more about these wines and Anasazi Field's other selections on their website and you can order them on Vino Shipper. I picked up my bottles at Whole Foods for slightly less than they sell for online. Additionally, if you live in a state that Anasazi does not ship to, you may be able to get a local wine shop to order a bottle for you. Some wine & liquor stores will buy special request bottles from out of state shops. I hope you enjoy! Great post going to check their website. Thanks for the suggestions. Having given up drinking (for the most part) I'm now rather clueless but these sound like they would be well worth the tasting. Oh I love me a good bottle of wine! Definitely will have to check them out! Wine does a body good. The apricot selection sounds delightful! Oo how cool is that?! Totally agree with Ashley's comment above, haha! i'm the same way when it comes to wine - i can tell the difference between types, but not brands. will definitely have to try this! Awesome post! I love this. Have an amazing brand new week!